This is a beautiful yellow and orange circle skirt dress that has an adorable attached apron. 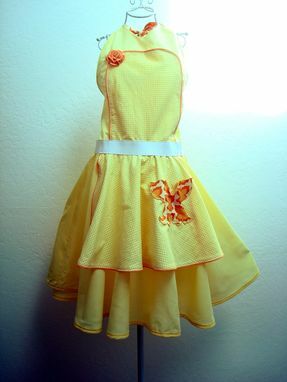 It includes details like a flower rosette and butterfly shaped pocket. I can send you measurements if you are interested.